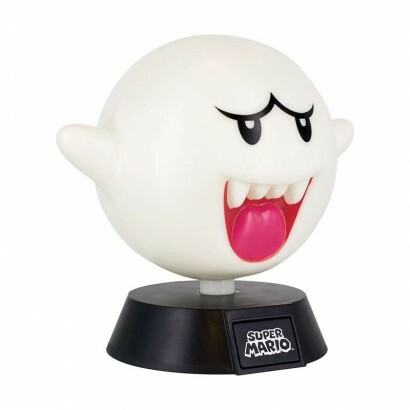 Super Mario fans will instantly recognise the iconic "Boo" ghost as it looms in the dark with a haunting white glow! 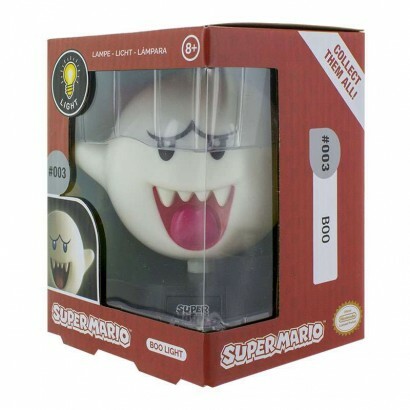 One of the more famous bad guys from the Super Mario franchise, Boo creeps up behind Mario expanding in size, but one look from our hero is all it takes to see Boo shrink off again becoming quite shy! 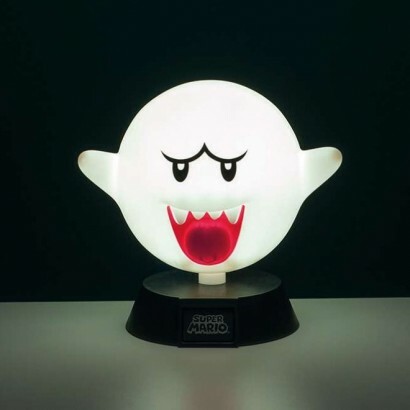 A fun light for desk tops or bedside tables, this little Boo will become your friend in the dark glowing brightly with three bright white LEDs, and battery operated it can be placed anywhere for best effects!